Out of a variety of sororities, Delta Gamma was chosen to become the newest member of the Grand Valley State University Greek community this year. Delta Gamma, which has 151 collegiate chapters throughout the United States, is a group that focuses on “doing good,” both on a holistic and individual scale. 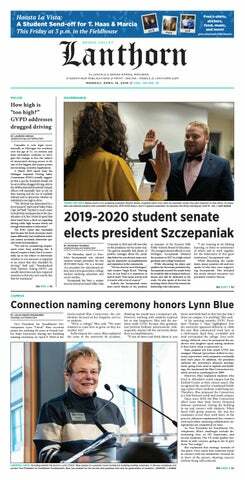 “The committee believed that the values of Delta Gamma and what they were proposing to the committee fit best with the Grand Valley community,” said GVSU Panhellenic President Julia Henderson. Delta Gamma’s core values include growth, collaboration, professionalism and integrity. The committee believed that Delta Gamma would reflect the values of what the GVSU sorority community looks like. Henderson said that even though the GVSU community is small, it is very personal and the decision was not taken lightly. During fall recruitment, Delta Gamma had people from other chapters such as Michigan State University speak to the women who were going through recruitment. There were no bids extended until after formal recruitment, and those interested in Delta Gamma went through interviews and small gatherings before bids were extended. “During my time here at Grand Valley, I haven’t seen a new sorority starting, so it is very interesting to see the process of a new sorority coming to campus, establishing themselves and integrating themselves within the Panhellenic community,” Henderson said. Delta Gamma’s philanthropy is "Service for Sight," which supports those that are visually impaired. This has been their mission since 1936 when Ruth Billow, a member of Delta Gamma who was blind, petitioned to adopt “Aid for Blind” as the official philanthropy. Devries said the sorority is a great opportunity for young women to get involved on campus and to meet other young, strong and independent women. Cichowski said she really liked how it was new chapter at GVSU and is really excited to get involved in the loss of sight community and to see how much they can do for them. This new chapter is another great opportunity for those women who may not have found a connection with another sorority in the past. Delta Gamma gives these women the opportunity to see if their values align.